TEAM SNOWDEN is hopeful Jim Byrne can continue his successful Group 1 association with the stable and etch his name in the record books aboard Gold Symphony in the $1.5 million Stradbroke Handicap at Doomben on Saturday. Byrne is chasing his second Stradbroke victory after winning aboard Adam in 1999 and will become only the sixth rider to complete the Doomben 10,000-Stradbroke double in the same year if successful. 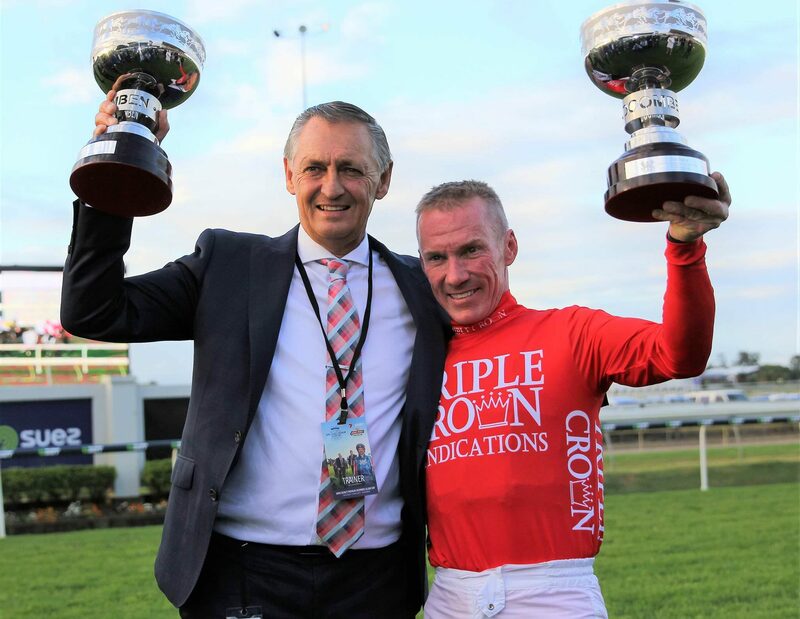 Byrne teamed with Peter and Paul Snowden to win last month’s Group 1 Doomben 10,000 on Redzel. The last rider to complete the Doomben 10,000-Stradbroke double in the same year was John Marshall who won both feature sprints aboard Campaign King in 1985. Previous riders to complete the double were Graham Cook (Spedito 1975), W.A. (Billy) Smith (Winfreux, 1965), Noel “Digger” McGrowdie (Wedborough and Highlea 1952) and Russell Maddock (High Rank 1941). Co-trainer Paul Snowden has declared Gold Symphony as “Mr Consistent” since the four-year-old was gelded soon after joining the stable In December. Gold Symphony showed he was a potential Group 1 performer winning twice at Group 3 level for his former trainer Peter Moody in the spring of 2015. However, the son of Reward For Effort’s form dropped away and was later sent to Team Snowden which decided to geld him after he failed at his first four Sydney starts. After being gelded, Gold Symphony won at his second start into his new campaign at Warwick Farm in January and hasn’t looked back since. The four-year-old won the Listed National Sprint in Canberra in March and was given a let-up before aiming for the Scone and Brisbane winter carnival. Gold Symphony was kept up to the mark with a Sydney barrier trial win last Friday after resuming with a game third behind Clearly Innocent in the Listed Luskin Star at Scone on May 13. Gold Symphony will meet Clearly Innocent on better terms for his 2-1/2 length defeat at Scone and is a $21.00 chance in UBet markets after drawing barrier 11. “He’s turned his form around since being gelded and is Mr Consistent now,” Paul Snowden said. “He was way down the order for the Stradbroke but we took the punt and he’s now in the field.